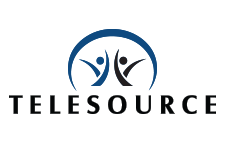 Browse the media library to learn more about the TeleSource solutions. Contact us if you have a question, or would like to discuss a new project with one of our experts. Want to learn more about what TEiM means for you and your organization? Let us show you how our complete service approach that can handle every situation. Click on the following video content to learn more. If you have mobile devices in your organization, then we can help manage them from the time of deployment to the time they are retired. Click on the following video content to learn more. Our Telecom experience ensures that you have partnered with a team that has a deep understanding of the industry and will always be there to help. Click on the following video content to learn more. Announcing Approve To Pay technology. The first of its kind where the accounting process of working with invoices is simplified down to a only few steps. Click on the following video content to learn more. TEiM Awards Bring Large Savings! Many of our clients have experienced large savings once our auditing processes are in place. Call us to learn more. Click on the following video content to learn more.